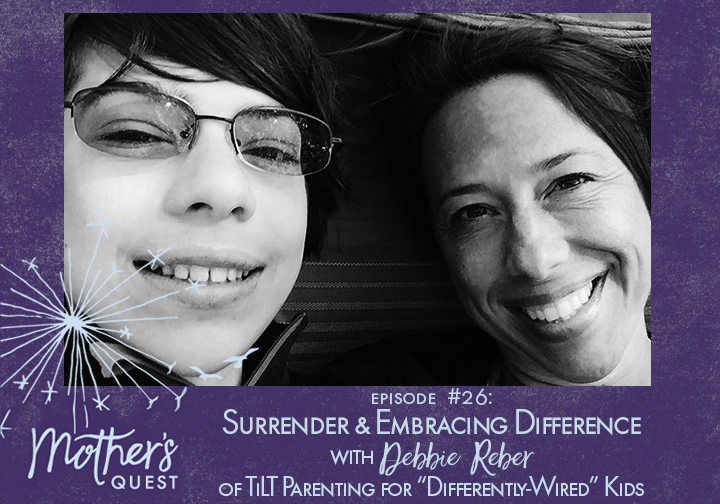 Welcome to this episode #26 of the Mother’s Quest Podcast, “Surrender and Embracing Difference” with TiLT Parenting for Differently-Wired Kids founder Debbie Reber. This conversation about seeing diversity as an asset, valuing and embracing difference, couldn’t come at a better time. Debbie Reber is the founder of TiLT, an online destination aimed at helping parents raising differently-wired kids do so from a place of confidence, connection, and peace. 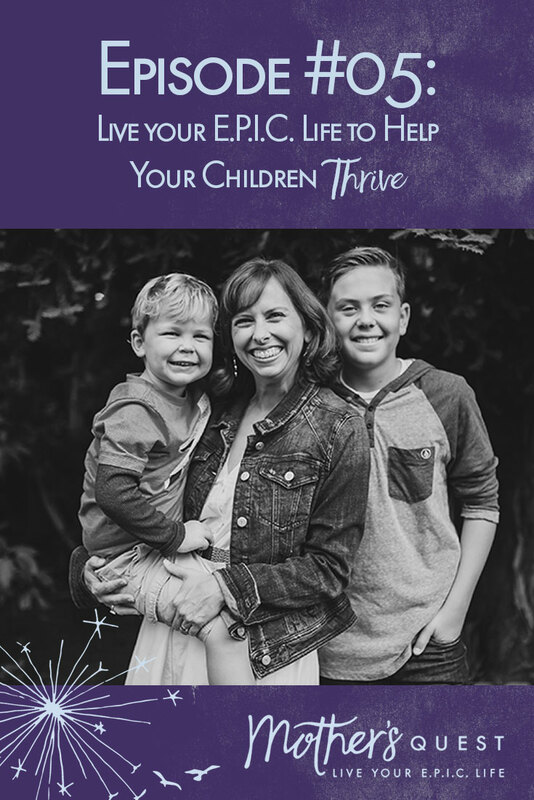 She’s also host of the TiLT Parenting Podcast, a life coach, speaker and a New York Times bestselling author of books aimed at raising self-esteem for young girls. Before becoming a writer, Debbie worked in children’s television, for a relief and development organization and at UNICEF. Despite this long list of accomplishments, perhaps the greatest thing Debbie has done is become parent, advocate, homeschooler and champion for her own son Asher who is 13, has Aspergers, ADHD and is profoundly gifted. After years of struggle with Asher, Debbie and her husband took a leap of faith in 2013, moving from the U.S. to Amsterdam where she stepped into her own hero’s journey to acceptance, surrender, and presence. In the process, she and Asher have come to an exceptional place, and share their lessons learned, wisdom and real life experiences to make sure other parents of differently-wired kids don’t have to journey alone. Debbie and I had an amazing conversation, about faith, personal transformation through parenting and how to live an E.P.I.C. life of alignment. Debbie invites us to question hidden beliefs about neurodiversity, explore the judgements we make about children who are “differently-wired” and invite us to become more compassionate as a result. She’s also invited us to take her TILT 7 day challenge to support ourselves to gently shift our awareness. This conversation was a year in the making and it was really powerful for me. I was reminded about the gifts our children bring us, even when they don’t come in the ways that we expected and it renewed my commitment to show up fully for my own children, embracing their differences and surrendering to the knowledge that life is a journey and not a destination. I want to note that I bring this episode to you at a unique moment. At the time of this recording, the nation has endured tragedy and division in the wake of events at Charlottesville, fueled by hatred and fear about our differences. Days later, the universe provided us with awareness that we are bound together by something bigger than ourselves as people everywhere took in the total solar eclipse with awe. The definition of eclipse means to darken and block out the light. We eclipse the light and love, and our common humanity, when we fail to recognize, understand, and celebrate our differences, whether that difference comes from the way our brains think in the case of differently-wired kids, the color of our skin, or the religion we follow. But, as Debbie so eloquently describes in our conversation, when we can see diversity as an asset and embrace difference, everything changes. To your lips and drink till you are full. To the sky in blessings spread wide. Of skin and kin and the way we each choose to worship. To see the raw humanity standing before you, pain and wisdom so deep. Let your love rage like fire and do not be silent. To power again and again, unflinching and fierce. Let your love wild like flowers blanketing a meadow in the spring. To dance among the blossoms, growing wild. Let your love warm the icicles of contempt that pierce your heart. To the fountain of hope until your cup runneth over, sweet and warm. Let your love free from the small box you were told would keep it safe. To pick the locks and set yourself free. Question and explore your beliefs about neurodiversity. Raise your awareness and step into more compassion with Debbie’s 7 Day Challenge. How Debbie and I have connected as mothers of differently-wired boys, since Jonathan Fields and Harmony Eichsteadt, of The Good Life Project, made an introduction between us a year ago. How Debbie wrestled with an Evangelical Christian faith upbringing, the questions she explored about her own spirituality, and how she came to believe there is something greater that connects us all. The right turn Debbie’s career took from empowering young girls to championing her own “differently-wired” son and then building a community to support parents to champion their own. The unexpected gifts that raising Asher has brought to Debbie and her life and the key that helped her shift into acceptance. How Debbie followed her intuition and changed everything for the better, to make a big leap of faith, move to Amsterdam, and begin homeschooling Asher. Nature is Debbie’s church and how lacing up their shoes for long walks outside provides Debbie and Asher opportunity for deep connection. Debbie’s new book, coming out in spring 2018, to help parents of differently-wired kids realize they are not alone. 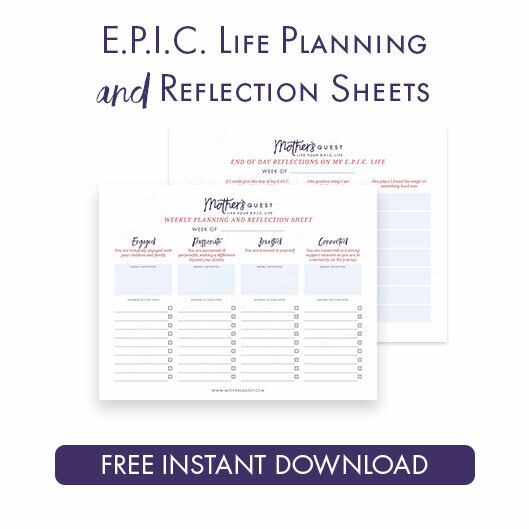 How Debbie’s “self-interest” helps her prioritize creating space and time for herself. The quote from Shakepeare Debbie’s son Asher shared, on his podcast episode, as he reflected on the importance of risk and leaps of faith required in order to grow. In this week after the events that took place in Charlottesville, I’m even more committed to a quest I’ve been on to understand the roots of racism and bigotry, how it still shows up today, and how I can become a better ally and advocate to fight against it. I’m raising awareness for myself, and inviting you to do the same, through a special podcast episode coming out in September. If you want to listen to that episode, be sure to subscribe to the podcast and sign up for email updates at mothersquest.com. And if you are a women podcaster yourself, I’d love for you to make the pledge to use the power of your platform for this cause. 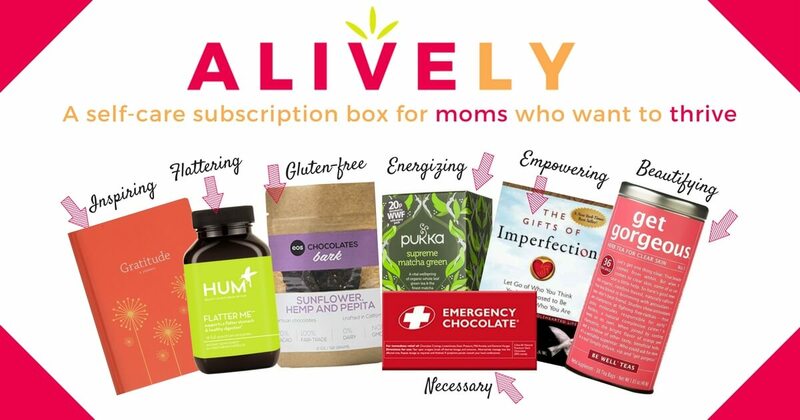 You can learn more and join the initiative by signing up at mothersquest.com/solidarity. Join us on September 1st, Friday at 10:30 AM PST for a Q and A in the Mother’s Quest Facebook Group with Debbie to continue our conversation and check in on the challenge. 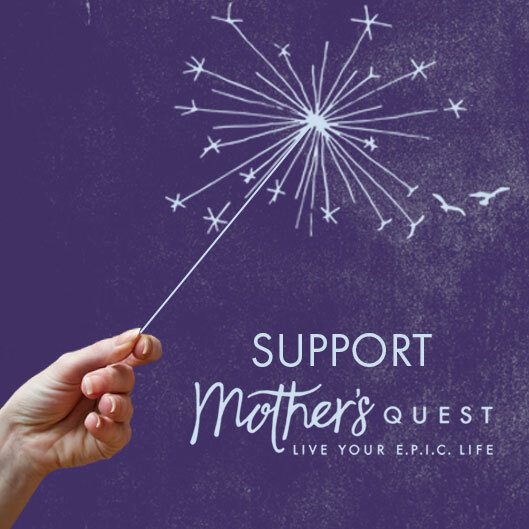 Click this link to join the Mother’s Quest Facebook Group and get invited to the event.